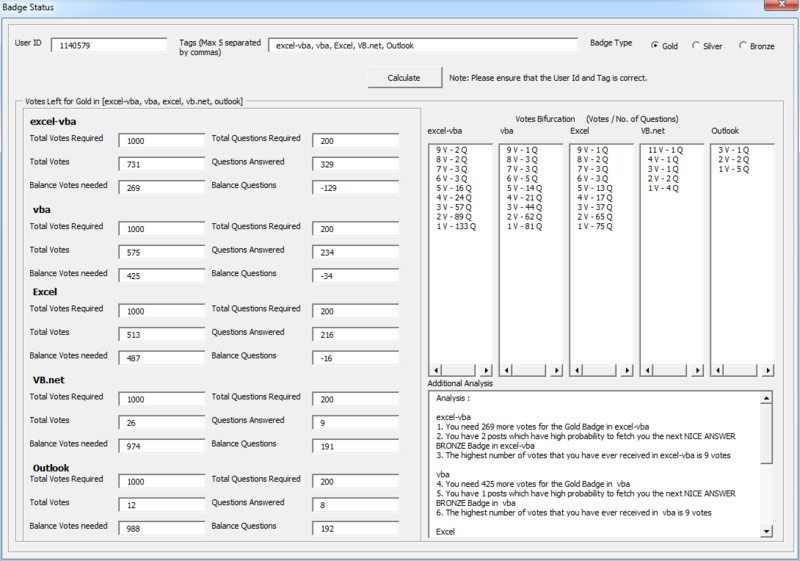 I was unsure if I could upload an Exe File so I created an Excel App instead of VB.net app. I am sure you are aware but for people who are not, you can earn a Bronze, Silver, Gold in a particular tag depending on the votes that you have got + questions answered. To get the information manually, you can visit your profile and under Tags, calculate the number of votes + questions required for a particular badge. This process can be tedious if you are expecting the badges in several tags. 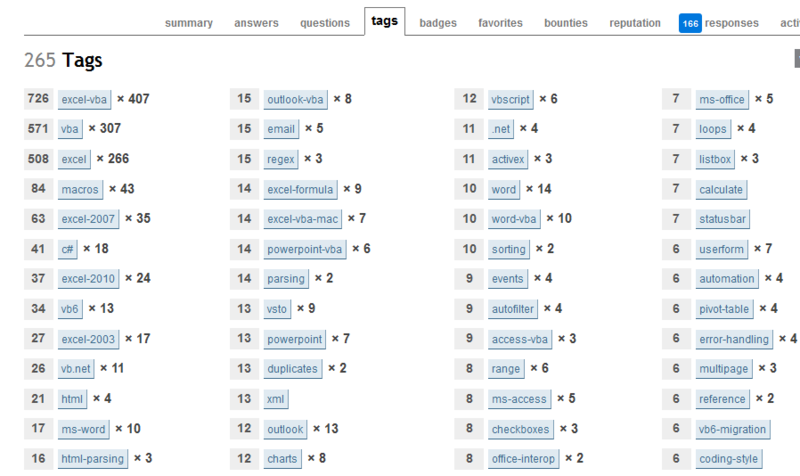 Enter tags (max 5) and spits out an analysis for the Gold/Silver/Bronze stats for the relevant tag. The VBA Project is not protected and you can use it freely. If you want you may enhance this App to your liking. Please see below for updated version. Suggestions to improve this are most welcome. 1) Verify your user ID so that there is no error. 2) A "Remember Me" checkbox for User ID so that you do not need to enter the ID again and again. 3) Automated the Tags textbox so you no longer need to type it out. The App will download the latest tags from your profile from which you can select. 4) A "Remember Me" checkbox for Tags as well so that you do not need to enter the tags again and again. 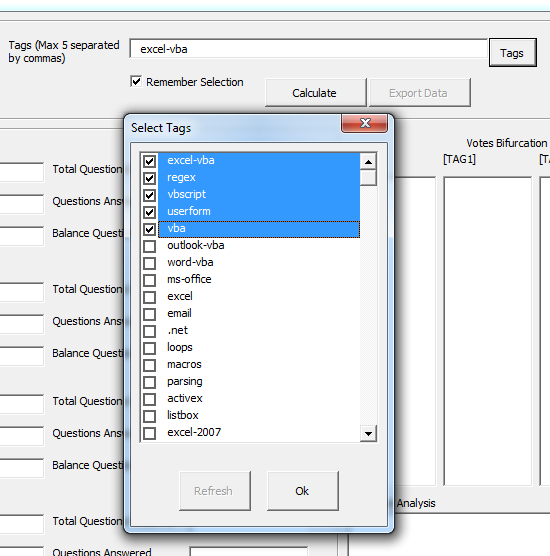 5) Option to export the Tags and Analysis to the worksheet so that you can do a manual comparison at a later date. Click on Tags Button once app verifies you.